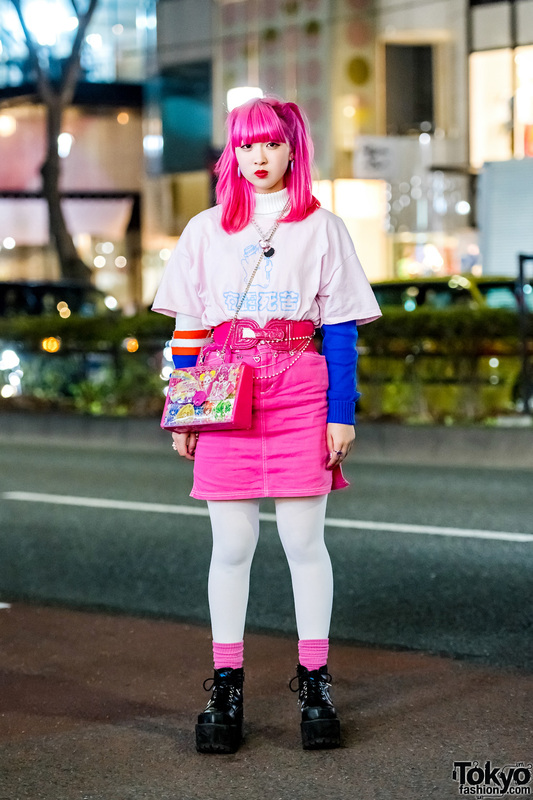 Harajuku girl with long black hairstyle wearing a Candy Stripper souvenir jacket over a neon hoodie, pink midi skirt, platform boots, and holographic tote bag. Japanese student sporting a stylish layered resale ensemble while out on the Harajuku street. Harajuku student sporting twin buns, sheer long sleeve dragon print top, denim skirt, fishnet socks, lace-up platforms and a patent leather crossbody bag. 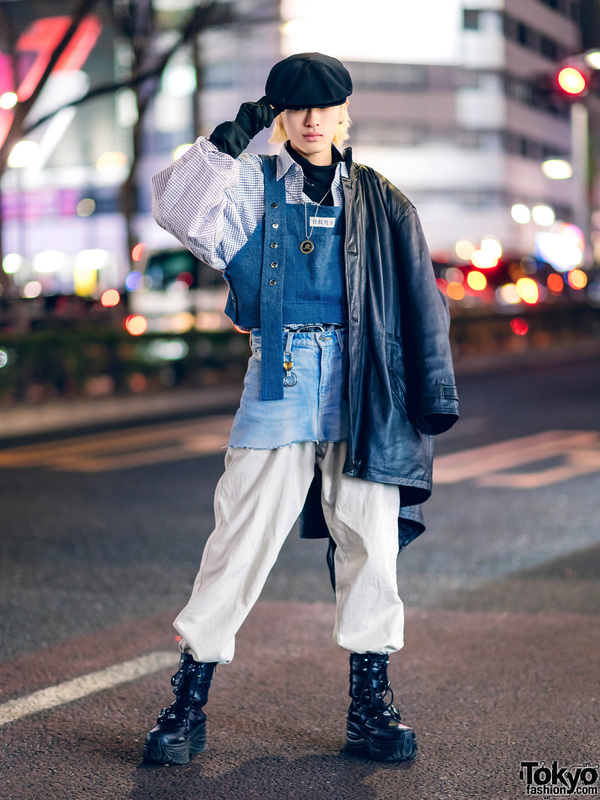 Japanese students dressed in colorful streetwear styles while out on the nighttime Harajuku street. Madhouse Tattoo Japan owner and artist sporting tattoos and brand shirts in Harajuku. Twin-tailed Harajuku student showcasing a pink-themed street style while out on the street one early evening. Harajuku girl sporting twin buns wearing a leopard print coat and a denim outfit while out and about.